Local housebuilder Chestnut Homes has remembered local war heroes in Dunholme by naming five new roads after them. The new roads, part of The Meadows development, were named after parish members who gave their lives in the First and Second World Wars and who are named on the memorial in the village. David Newton, Managing Director of Chestnut Homes, said: “When we came to think of the new road names as part of this development, we really wanted them to have meaning to the local area. The new road names will include Portus Lane, Creasy Drive, Andrew Court, Dixon Place and Braithwaite Mews, named after Fred and Harrold Portus, George Creasy, Jack Andrews, John Dixon and Dennis Braithwaite. 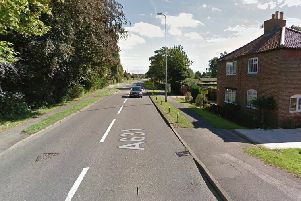 Anjum Sawhney, Chairman of the Parish Council, said: “We were very happy when Chestnut Homes suggested the selection of new road names and were more than happy to approve them.